Outstanding Crochet: How to become a crochet designer. How to become a crochet designer. 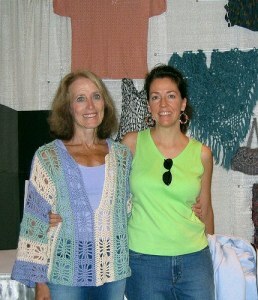 I liked this interview with crochet designer Stacey Trock. I found some useful information in it. When you design your pattern write down all steps at the time you crochet. It might seem that you can recall everything after you're done, but you can miss something and your pattern would contain mistakes. "I jot it down on the paper and then I save the paper, even though it’s really messy, until it’s time to publish the pattern", says Stacey. Ellen Gormley suggests to join CGOA, subscribe to as many crochet magazines as you can because you should support the industry (hmmm... I don't know), complete the CGOA's Masters' of Basic Stitches Course. You can find her other suggestions here. If you wonder how to become a crochet designer, Brenda Stratton' s answer is: Just do it! She gives some tips on submitting and publishing your design in this article. She makes accent on copyright laws, which is very important. Interesting interview with crochet designer Vashti Braha you can read here.